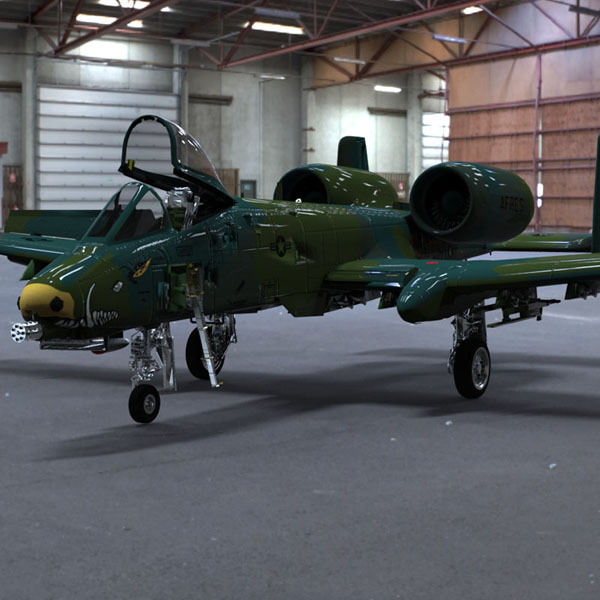 The Fairchild-Republic A-10 Thunderbolt II is a single-seat, twin-engine jet aircraft designed to provide air interdiction and close air support (CAS) of ground forces by attacking tanks, armored vehicles, and other ground targets. 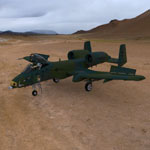 As a secondary mission, it provides airborne forward air control, guiding other aircraft against ground targets. 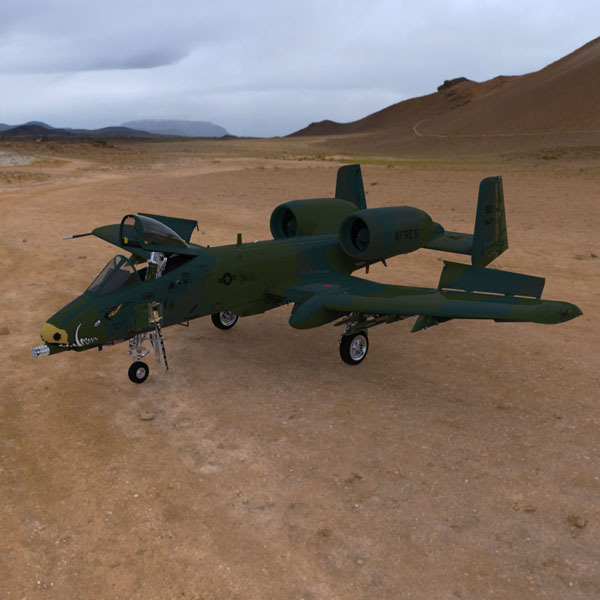 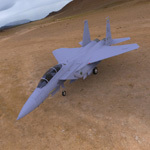 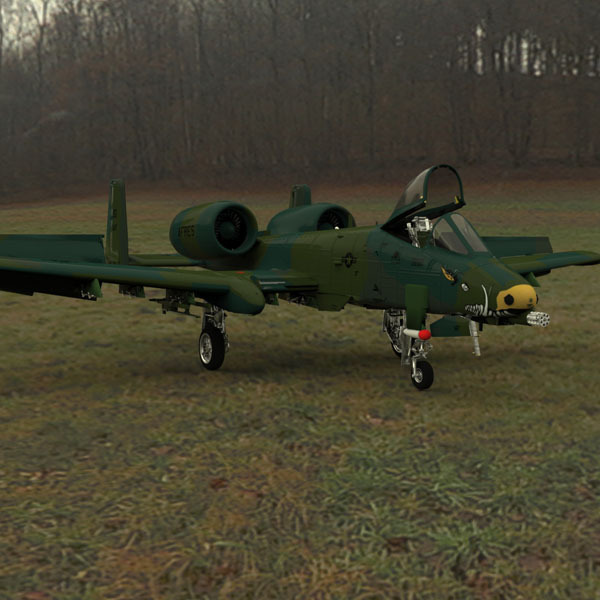 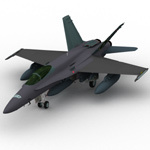 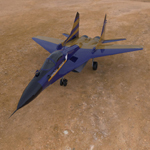 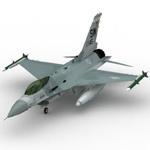 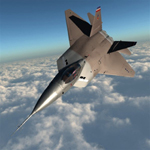 It is the first US Air Force aircraft designed exclusively for CAS. The official nickname comes from the P-47 Thunderbolt of World War II, a plane that was particularly effective at the CAS mission. 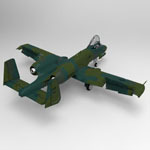 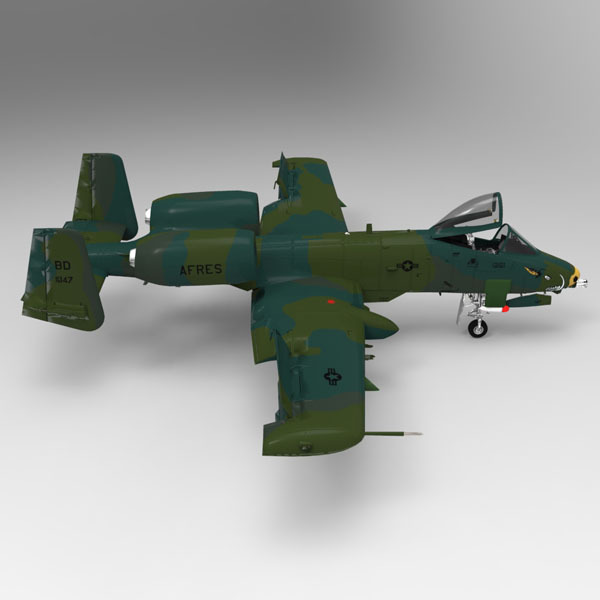 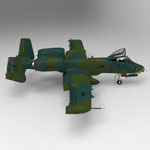 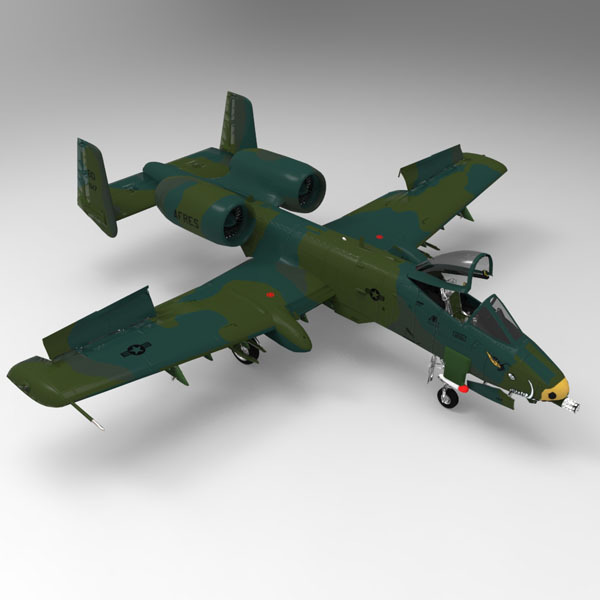 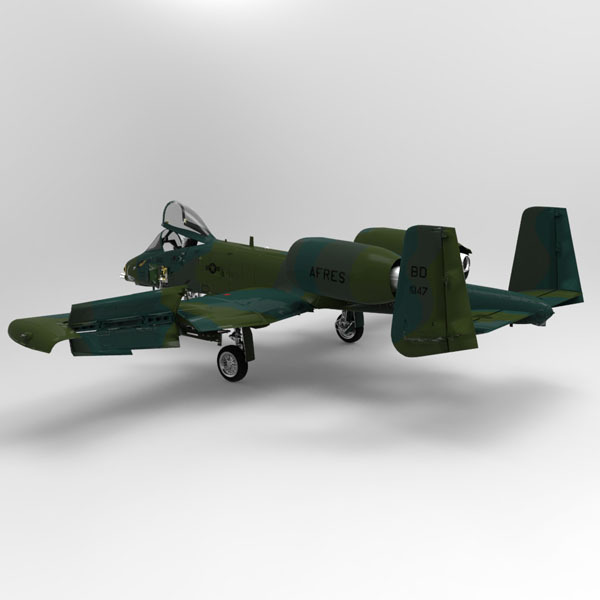 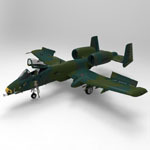 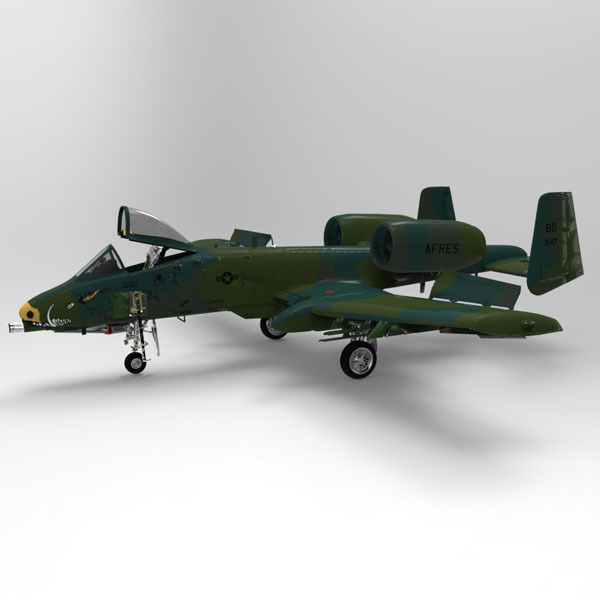 However, the A-10 is more commonly known as Warthog or simply Hog. 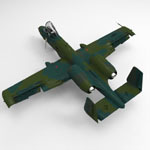 In the USAF inventory, the same airframe is also designated OA-10 when used primarily in a forward air control role. 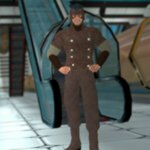 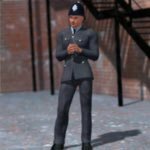 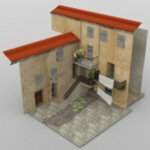 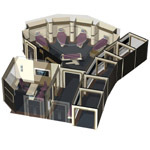 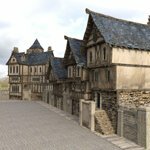 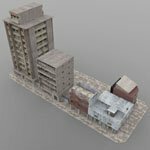 - The model is UV mapped and textures are included.